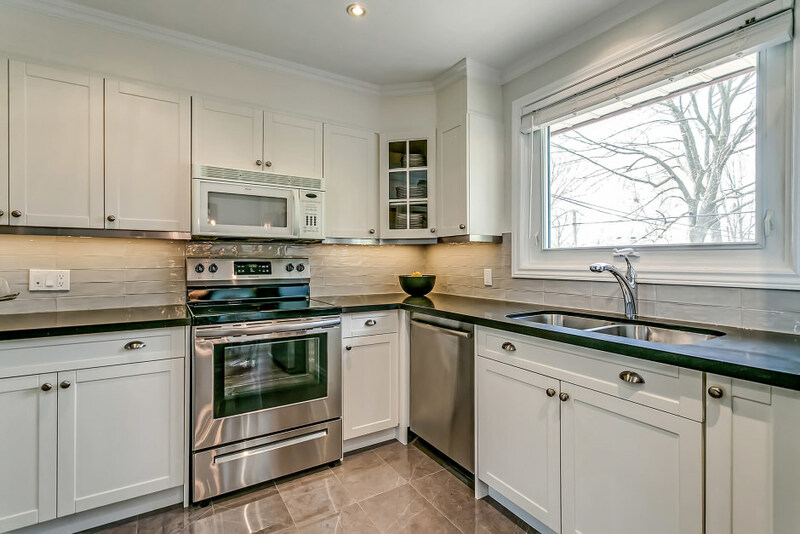 Updated family home in coveted Elizabeth Gardens. 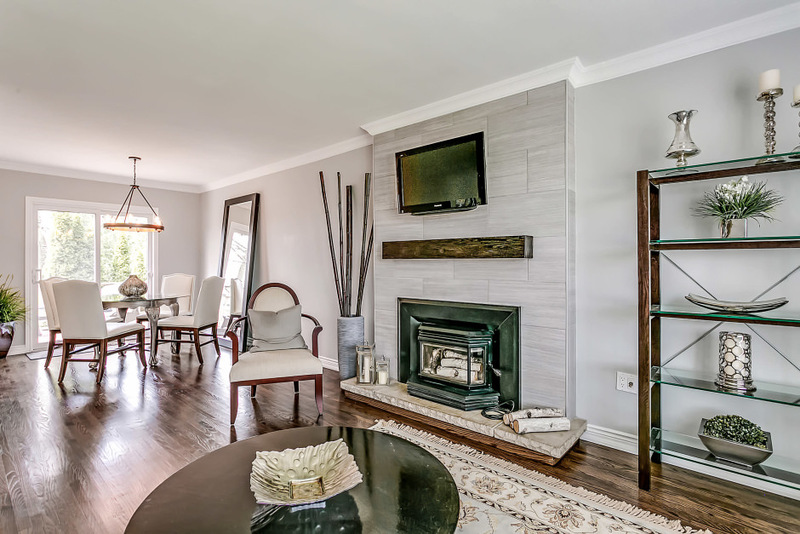 This lovely home offers ample living space via a split-level plan, with an open-concept main level, three bedrooms, and two full, fully renovated bathrooms. The spacious living room features a bay window and a fireplace with full-height surround and rustic wood mantel, opening to the dining room with central chandelier and double sliding glass door walkout to the rear deck. 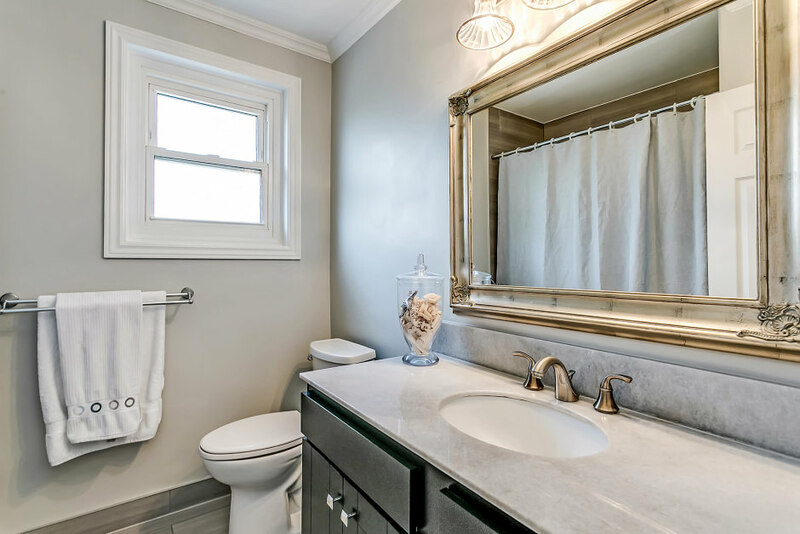 Updates throughout the home include oak hardwood flooring, crown moulding, and LED pot lighting. The functional, family-friendly kitchen boasts white cabinetry with under-cabinet lighting, highlighting the brand new quartz countertops and porcelain subway tile surround. A separate family room and finished lower level recreation room provide ample additional living space. Located on a 105’ deep lot with mature trees, in what is arguably Burlington’s premier school district. This turn-key home will make a sound investment for any family!